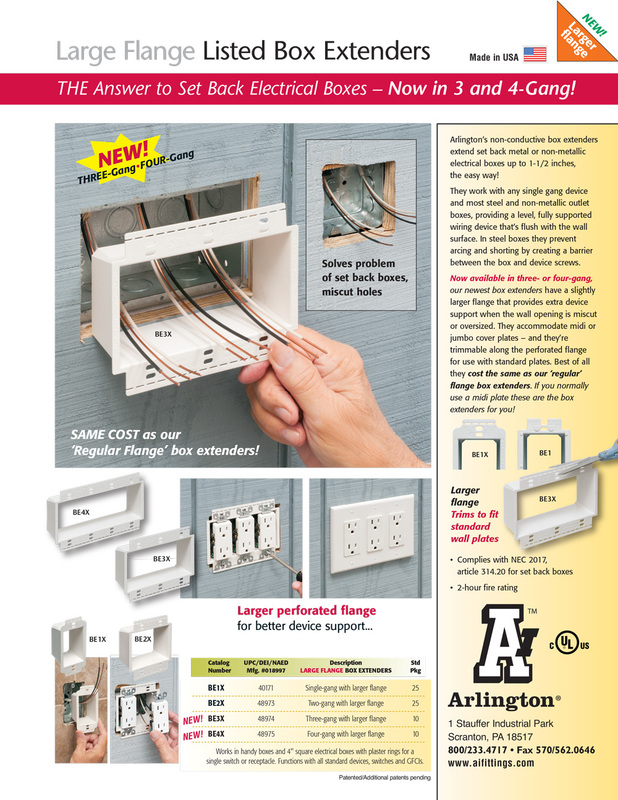 Extends set back metal or non-metallic electrical boxes up to 1-1/2"
Arlington's non-conductive box extenders extend set back metal or non-metallic electrical boxes up to 1-1/2", the easy way! Our box extenders have a slightly larger flange that provides extra device support when the wall opening is miscut or oversized. They accommodate midi and jumbo cover plates, and are trimmable for use with standard plates. 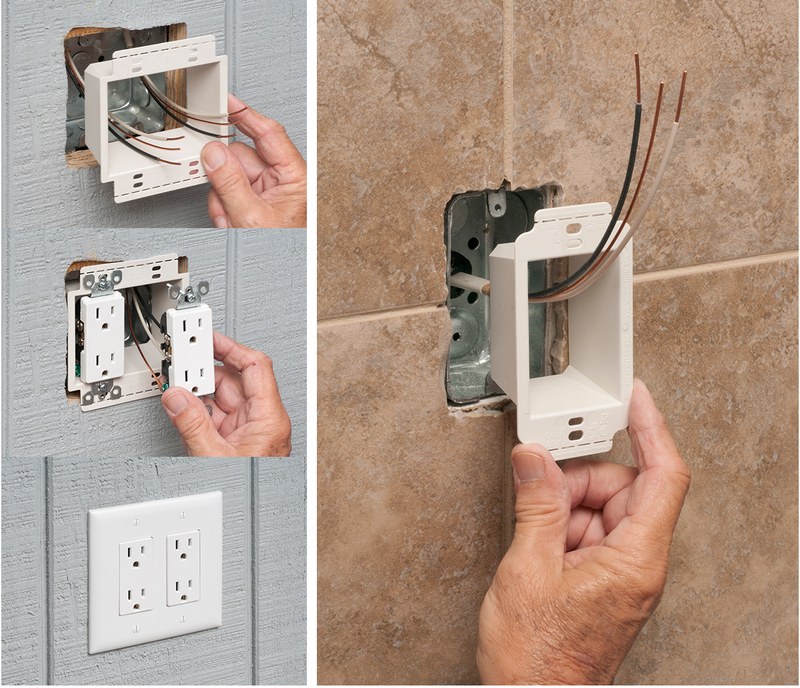 supported wiring device that's flush with the wall surface.